Speak with a Clinical Nurse Educator near you. NINLARO is indicated in combination with lenalidomide and dexamethasone for the treatment of patients with multiple myeloma who have received at least 1 prior therapy. Ask your patients about all the medicines they take, including prescription and over-the-counter medicines, vitamins, and herbal supplements. Be sure that patients speak with their healthcare provider before starting any new medicines during treatment with NINLARO. 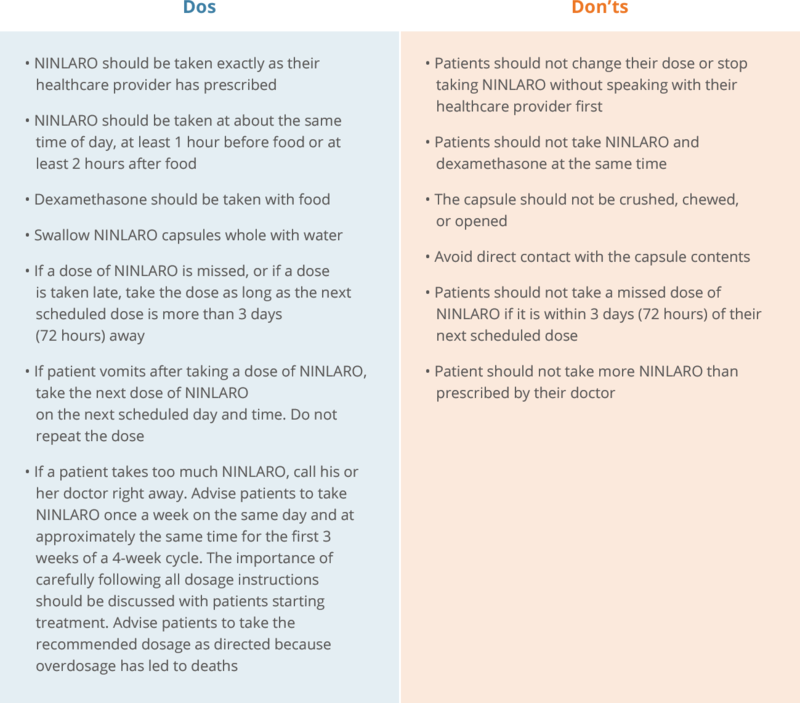 For more information on managing patients receiving NINLARO, see dose modifications and concomitant medications. *Median PFS: 20.6 months with the NINLARO regimen vs 14.7 months with the placebo regimen; HR=0.74 (95% CI, 0.587-0.939); P=0.012. 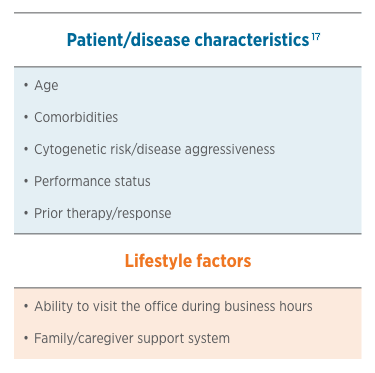 ‡Defined as treatment to disease progression or unacceptable toxicity. Other common side effects have occurred. Ask patients to tell you if they get new or worsening back pain, lowered white blood cells (neutropenia) that may increase the risk of infection, or vision conditions such as blurred vision, dry eye, or pink eye (conjunctivitis). These are not all the possible side effects of NINLARO. Patients should call their doctor for medical advice about side effects. Patients may report side effects to FDA at 1-800-FDA-1088. For information on dose modification guidelines for thrombocytopenia, neutropenia, PN, rash, and other nonhematologic toxicities, click here. To review the list of concomitant medications for consideration, click here.